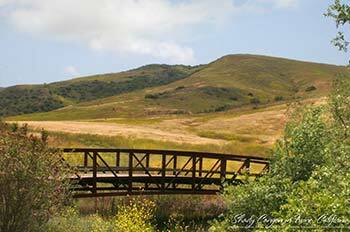 This week in the Irvine Ranch Open Space, we’ll hike in Baker Canyon. 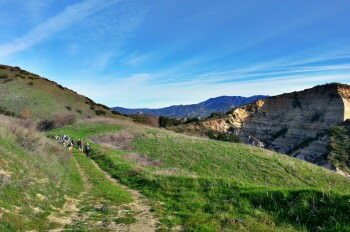 This scenic hike includes steep climbs and descents on both single and double-track trails with about 1100 feet of accumulated climbing. 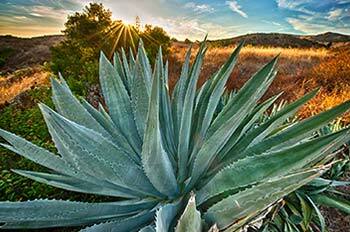 We will enjoy sweeping views of the Irvine Ranch Natural Landscapes and the Santa Ana Mountains. On clear days, we can see Catalina Island and even beyond into the Los Angeles Basin. Please wear hiking shoes/boots and bring water, a trail snack, sun screen, hat, and any other necessary equipment to keep you safe on the trail. Participants must be able to hike 7 miles with an elevation gain of 1100 feet at an average moving rate of 3 miles per hour. Each hiker must carry his/her own water and supplies. Reviewing the 1-through-5 Difficulty Ratings will help you evaluate your readiness to participate in this level-4 activity on the land. Please note that for this activity, there is a registration limit of two spaces per registrant (e.g. registrant may only register one guest for a total of two spaces). If you need assistance, please contact the IRC office at 714-508-4757.